Very ornamental smooth trunked eucalyptus with large chartreuse flowers and interesting seed pod. 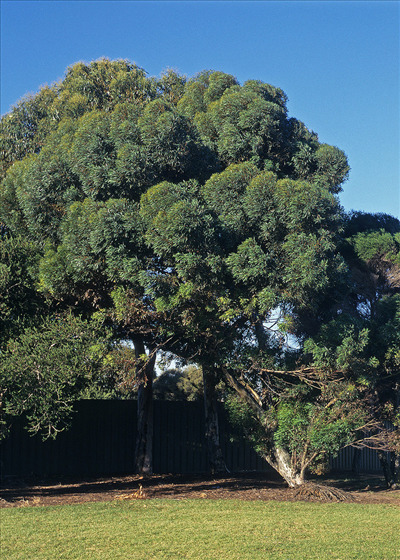 Fast growing mallee, which means it grows multiple trunks from the base. Suitable for most soils including alkaline if well-drained. Drought and Frost tolerant. Grows well inland arid areas as well as limited coastal exposure. Great for wind erosion control. Smog tolerant!